On Tuesday, July 19, the Somaliland Minister for Planning and Development Cooperation, Dr. Sa'ad Shire, came from the Netherlands to Brussels on his way back to London. During his stopover, the minister together with the Somaliland Representative in to the EU and Belgium, Mohamoud Abdi Daar and several members of the Somaliland communities in Belgium and the Netherlands, met with Mr. Leo D'aes, Director of Sub-Sahara Africa, in the Belgian Ministry of Foreign Affairs, Foreign Trade and Development Cooperation. In the afternoon, Dr. Sa'ad and delegation met with Mr. Jeremy Lester, Head of Division of the Horn of Africa, East Africa and the Indian Ocean of the EU Commission. During these interesting exchange of views on various matters, Dr; Sa'ad Shire, spoke at length and briefed these senior officials about Somaliland's democratic progress and other extraordinary achievements it has made since 1991, notably: the peace process, reconstruction of the country and re-establishment of security and stability. 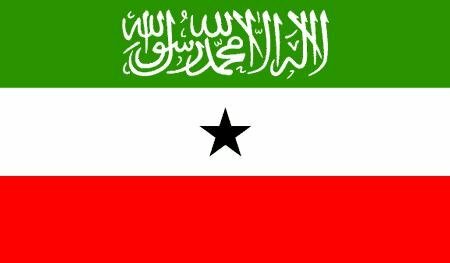 He stated, among other things, that to achieve regional stability, in the Horn of Africa, the international community could seriously consider Somaliland's advice and think of finding an alternative solution to restore peace and stability in the region. In his discussion with the representative of the EU Commission, a number of issues were raised such as the drought in the region and its effects and need of management of water resources and environment and improved development planning. Mr Lester said that the EU Development Commissioner's, Mr Andris Piebalgs, visit to Somaliland on July 6, 2011 was impressive. The EU would assist Somaliland in the development of a number of sectors. At the conclusion of the meetings, the Minister expressed his appreciation for the warm reception that was accorded to him and his delegation and requested for more development assistance to Somaliland from Belgium and the European Union.